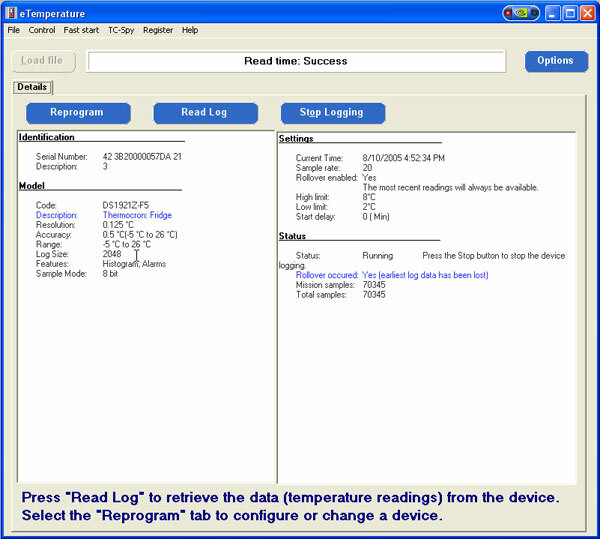 This guide assumes you have already installed and configured eTemperature, and setup a logger. After you have competed this guide, you may also want to analyse the results. Run eTemperature by double clicking on its icon or by finding it within the Start menu hierarchy. Press the “Read Log” button. Press the “Save” button. Not required if automatic saving has been configured. Select the required format in the “Print” section Press “Display”. 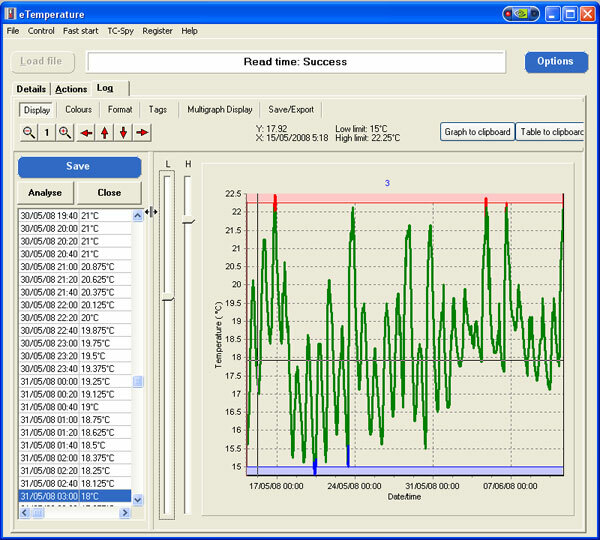 Now that you have downloaded these results, you may also want to analyse the results in eTemperature.